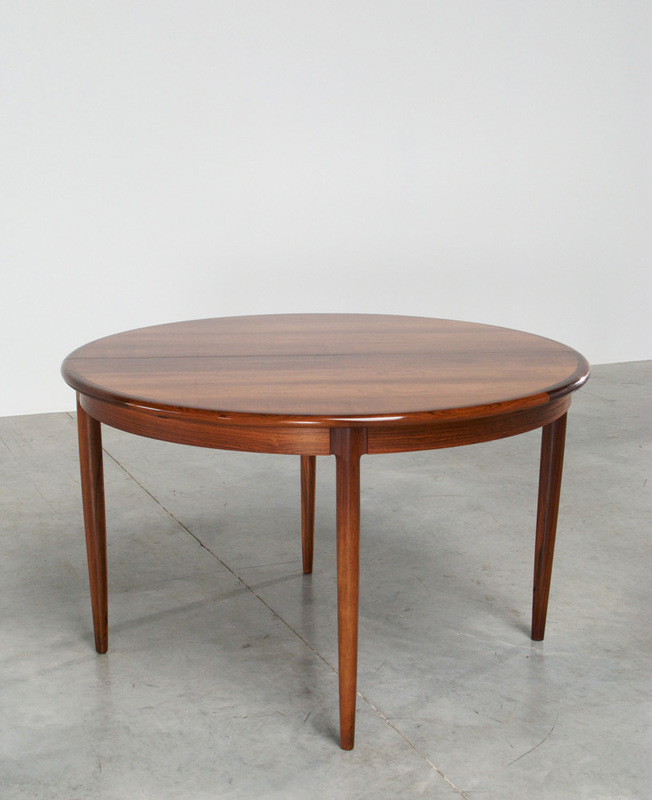 Round dining table in Rosewood, designed by Niels Møller for J.L. Møller, circa 1960. Table can be extended for six persons. When opened the measurements are 68 inch. Beautifully table with grained solid Brazilian rosewood. Table de salle a manger en palissandre, conçu par Niels Møller pour JL Møller, environ 1960. Table peut être prolonge pour six personnes. Prolonge elles mesure 174 cm. Superbe table en palissandre Brésilien.